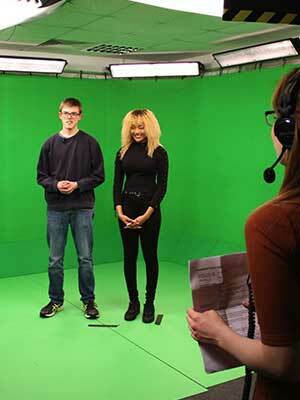 When I began the Television and Broadcasting course at the University of Portsmouth, I had my mind dead-set on what I wanted to do in the world of television. More than anything, I wanted to work for Children's BBC, ideally as a presenter, and as I come towards the end of my second year, I am still very much in pursuit of this dream. However, it has become very clear to me that breaking into the TV or radio industry is a 'tricky business' and not necessarily a case of how much you know, but who you know. In fact, this has become so clear that I've started telling myself that children's TV presenting is a not a great career choice as the chances of landing that dream job are incredibly slim. Nonetheless, I want to offer some advice to those who may be in a similar situation and reassure you that your broadcasting career goals are achievable. My biggest tip is this - be a content creator. Back in 2013, I setup my own YouTube channel (with the only available variation of Totally Random Productions), TotallyTVUK. At the time, I was unaware just how important this platform would be in the development of my skills in presenting, shooting and editing video. With each project, I learned something new that I could then apply to the following video. For example, it is through my YouTube endeavours that I learnt how to efficiently use a green screen, how to export video for the web and how to effectively capture sound (a lot of these points actually made it into their own video titled Plans That Didn't Work). Consequently, I gained a lot of valuable experience which led me on to produce corporate videos for Premier League 4 Sport, Ladies European Tour and, local charity, The Lowdown. Therefore, being a content creator can be hugely beneficial in developing skills for TV. Also, one of the most appealing aspects about independent content creation is that it lends itself quite beautifully to creativity. There are no restrictions when your content is determined by you. If you have an idea or a concept for a short video, film or TV programme, the only limit is how far you are willing to go to make it a reality. I found myself in a similar position at the beginning of 2016. By this point, I had created around 150 videos for TotallyTVUK and even had my own radio show on the University of Portsmouth's student radio station, Pure FM. However, I wanted to expand my content beyond the realms of YouTube and Mixcloud. Therefore, I started planning my own website called, TotallyMedia, and my work was divided up into videos (TotallyTVUK), radio shows (TotallyRadio) and social media (TotallyTalk). After designing and creating the website over the summer, it was finally completed in September 2016. Currently, I am continuing to update and add new content to the website whilst maintaining a design that reflects my vision and personality as a creator. As you can see, every single one of these points can be developed and displayed in some way through the process of planning and producing your own content. Not only does it showcase your skill set and creativity, but it also demonstrates your passion and enthusiasm for television and video. It was even specifically stated that having a portfolio of work outside of your studies is very appealing. "We are no longer just broadcasters - we are content creators." So, go forth with your own projects. Be creative. Be unique. Be inspired.